File photo of cannabis plants. GARDAÍ HAVE SEIZED cannabis plants worth €160,000 following the search of a house in Kilgarvan Co.Kerry yesterday evening. At around 5.40pm yesterday, Gardaí searched a house in the Gorthloughera area and found that the house had been used for cultivating cannabis. 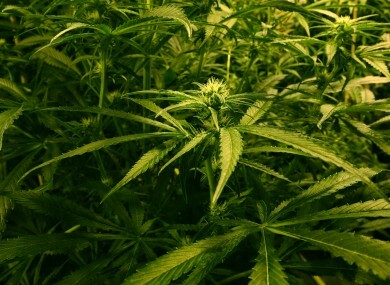 Gardaí discovered 190 cannabis plants growing in the early stages of development. The cannabis has an estimated street value of €160,000. The scene has been preserved for technical examination and the incident is under investigation and no arrests have yet been made. Email “Gardaí seize €160,000 worth of cannabis plants in Kerry”. Feedback on “Gardaí seize €160,000 worth of cannabis plants in Kerry”.